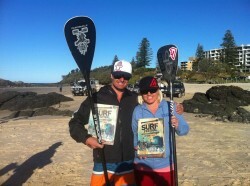 The 2012 Australian SUP Titles have just wrapped up at Port Macquarie, New South Wales. 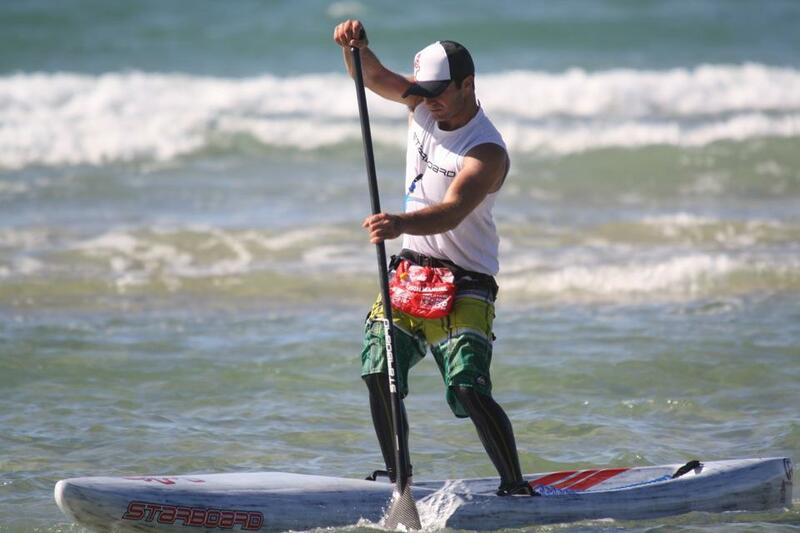 Yesterday saw the 20km “Marathon Race” downwinder, while today (Monday) was the Battle of the Paddle-style “Technical Course Race”. Tqualify through the various State Titles to even make it to the start line. Beau O’Brian, Kelly Margetts, Angie Jackson and Karla Gilbert were the big winners; each taking out a victory in the Open divisions and pencilling themselves in for a trip to Peru for the ISA World Champs next February. Dave Kissane was also on fire, grabbing 2nd overall in the Marathon race even though he’s part of the “Over 40’s” crowd. It was pretty good out there, to start off with the nerves got me a little bit because it’s a pretty tough field, a couple of times I fell off. It took me a bit to get back up there, but once I was with the boys I tried to get as far in front as I could, because I knew those boys could run, and I’m not a runner. Once I broke away I thought yeah go for it and get a good time and see what I can do. 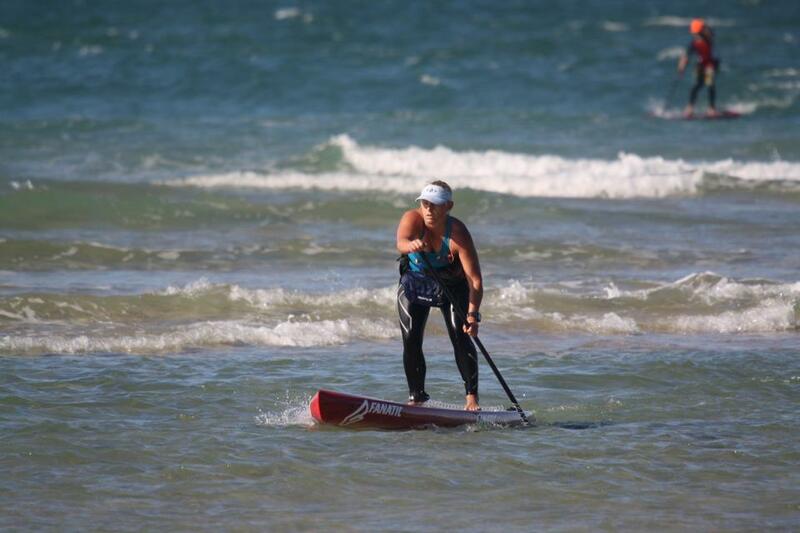 We’ll have a full race recap tomorrow, but in the meantime scroll down past the pics for the full results from the 2012 Aussie SUP Titles. 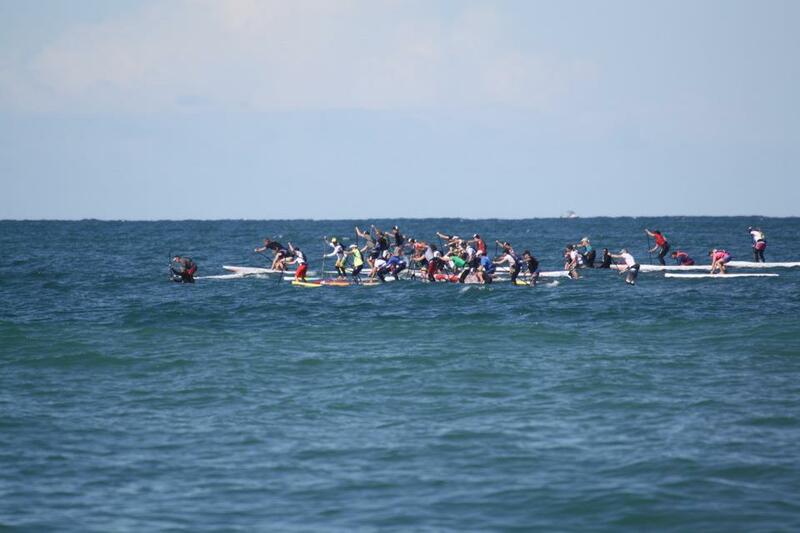 UPDATE: There was a 3 minutes 10 seconds start delay for the Women and Over 40’s. The finishing times below have been adjusted (so these are the actual race times).